Enterprises are hungry for guidance and assistance in learning how to embrace semantics and semantic technologies in their organization. Because of our services and products and my blog writings, we field many inquiries at Structured Dynamics about best practices and methods for transitioning to a semantic enterprise. Until the middle of last year, we had been mostly focused on software development projects and our middleware efforts via things like conStruct, structWSF, irON and UMBEL. While we also were helping in early engagement and assessment efforts, it was becoming clear that more formalized (and documented!) methods and techniques were warranted. We needed concrete next steps to offer the organization once they became intrigued and then excited about what it might mean to become a semantic enterprise. For decades, of course, various management and IT consultancies have focused on assisting enterprises adopt new work methods and information management approaches and technologies. These practices have resulted in a wealth of knowledge and methods, all attuned to enterprise needs and culture. Unfortunately, these methods have also been highly proprietary and hidden behind case studies and engagements often purposely kept from public view. So, in parallel with formulating and documenting our own approaches — some of which are quite new and unique to the semantic space (with its open world flavor as we practice it) — we also have been active students for what others have done and written about information management assessment and change in the enterprise. Despite the hundreds of management books published each year and the deluge of articles and pundits, there are surprisingly few “meaty” sources of actual methods and templates around which to build concrete assessment and adoption methods. The challenge here is not to present simply a few ideas or to spin some writings (or a full book!) around them. Rather, we need the templates, checklists, guidances, tools listings, frameworks, methods, test harnesses, codified approaches, scheduling and budgeting constructs, and so forth that takes initial excitement and ideas to prototyping and then deployment. These methodological assets take tens to hundreds of person-years to develop. They must also embody the philosophies and approaches consistent with our views and innovations. Customers like to see the methods and deliverables that assessment and planning efforts can bring to them. But traditional consultancies have been naturally reluctant to share these intellectual assets with the marketplace — unless for a fee. Like many growing small companies before us, Structured Dynamics was thus embarking on systematically building its own assets up, as engagements and time allowed. I first heard of MIKE2.0 from Alan Morrison of PriceWaterhouseCoopers’ Center for Technology and Innovation and from Steve Ardire, a senior advisor to SD. My first reaction was pretty negative, both because I couldn’t believe why anyone would name a methodology after me (hehe) and I also have been pretty cool to the proliferation of version numbers for things other than software or standards. However, through Alan and Steve’s good offices we were then introduced to two of the leaders of MIKE2.0, Sean McClowry of PWC and then Rob Hillard of Deloitte. Along with BearingPoint, the original initiator and contributor to MIKE2.0, these three organizations and their key principals provide much of the organizational horsepower and resource support to MIKE2.0. Based on the fantastic support of the community and the resources of MIKE2.0 itself (see concluding section on Why We Like the Framework), we began digging deeper into the MIKE2.0 Web site and its methodology and resources. For the reasons summarized in this article, we were amazed with the scope and completeness of the framework, and very comfortable with its approach to developing working deployments consistent with our own philosophy of incremental expansion and learning. 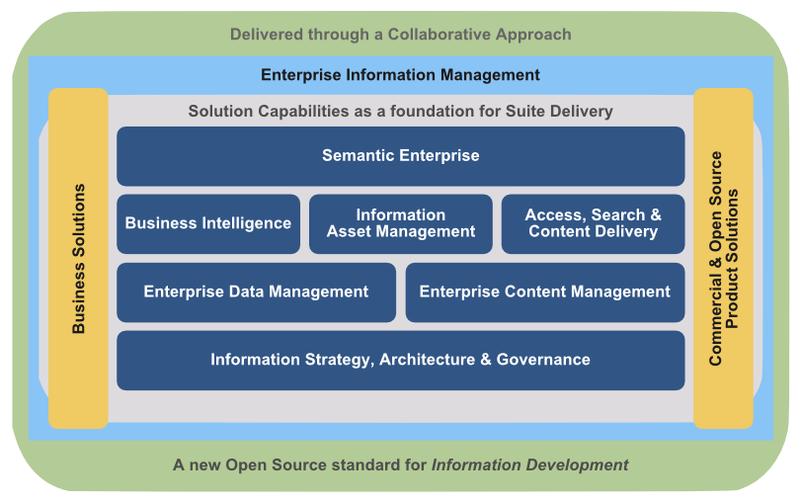 Method for an Integrated Knowledge Environment (MIKE2.0) is an open source delivery framework for enterprise information management. It provides a comprehensive methodology (747 significant articles so far) that can be applied across a number of different projects within the information management space. While initially focused around structured data, the goal of MIKE2.0 is to provide a comprehensive methodology for any type of information development. The concept of Information Development is based on the premise that due to its complexity, we currently lack the methods, technologies and skills to solve our information management challenges. Many of the techniques in use today are relatively immature and fragmented and the problems keep getting more difficult to solve. This is one of the reasons we see so many problems today and why organizations that manage information well are so successful. MIKE2.0 is not a framework for general transactional or operational purposes regarding data or records in the enterprise. (Though it does support functions related to analyzing that information.) Rather, MIKE2.0 is geared to the knowledge management or information management environment, with a clear emphasis on enterprise-wide issues, information integration and collaboration. The MIKE2.0 methodology was initially created by a team from BearingPoint, a leading management and technology consultancy. 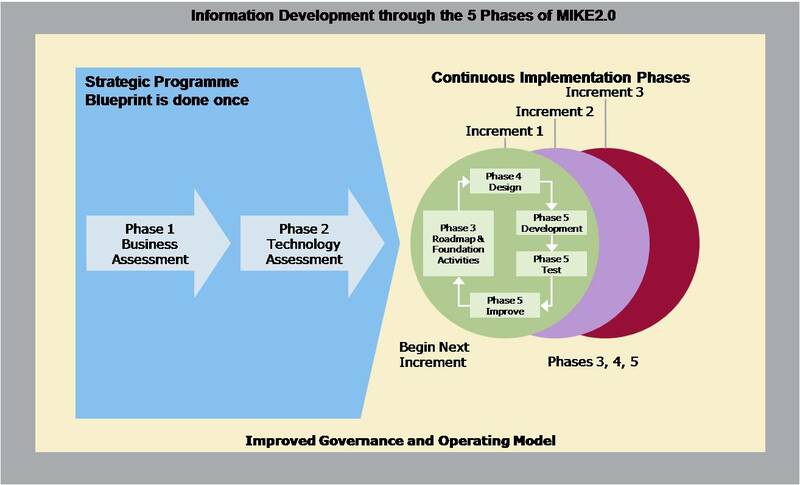 The project started as “MIKE2”, an internal approach to aid enterprises to improve their information management. The MIKE2 initiative was started in early 2005 and the methodology was brought through a number of release cycles until it reached a mature state in late 2005. “MIKE2.0” involved taking this approach and making it open source and more collaborative. Much of the content of the MIKE2.0 methodology was made available to the open source community in late December 2006. The actual MIKE2.0 Web site and release occurred in 2007. Anyone can join MIKE2.0, which adheres to an open source and Creative Commons model. Governance of MIKE2.0 is based on a meritocracy model, similar to the principles followed by the Apache Software Foundation. There is much additional background on MIKE2.0. Also, for an explanation of the rationale for the framework, see the MIKE2.0 article, A New Model for the Enterprise. MIKE2.0 provides a complete delivery framework for information management projects in the enterprise. The assets associated with this framework first are based on templates and guidelines that can be applied to any information management area. This is a key source of our interest in the framework. But, there is also real content behind these templates. 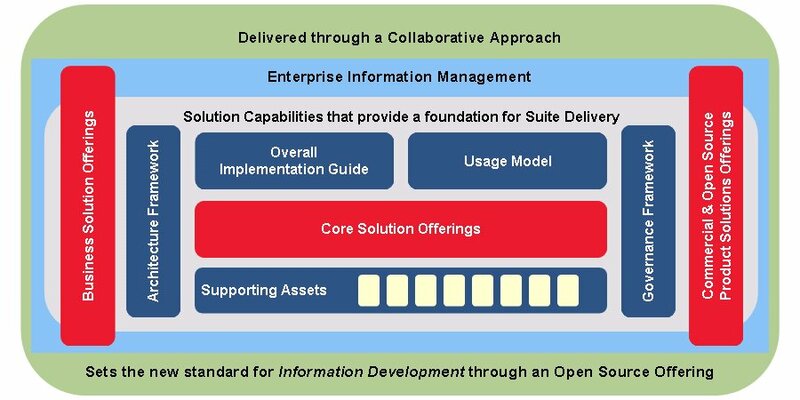 There is a slate of “solution offerings” geared to most areas of enterprise information management. There are “solution capabilities” that describe the tools and templates by which these solutions need to be specified, planned and tracked. There are frameworks for relating specific vendor and open source tools to each offering. And, there are general strategic and other guidances for how to communicate the current state of the discipline as well as its possible future states. 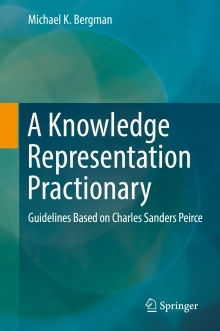 Perhaps the most important aspect of this framework, however, are the ways by which it provides solid guidance for how entirely new solution areas — the semantic enterprise, for example, in Structured Dynamics’ own case — can be expressed and “codified” in ways meaningful to enterprise customers. These frameworks provide a common competency across all areas of enterprise interest in information development and management. For a relatively new and small vendor such as us, this framework provides a credible meeting ground with the market. The fundamental approach to a MIKE2.0 offering is staged and incremental. This is very much in keeping with Structured Dynamics’ own philosophy, which, more importantly, also is consonant with the phased adoption and expansion of open semantic techologies within the enterprise. The incremental aspects of the later three phases are not dissimilar from “spiral” deployments common to some government procurements. The truth remains, however, that actual experience is quite limited in later increments, and whether these methodologies can hold over long periods of time is unknown. Despite this caution, most failures occur in the earliest phases of a project. MIKE2.0 has strong framework support in these early phases. MIKE2.0 “solutions” are presented as offerings from single ones to a variety of clusters or groupings. These types reflect the real circumstances of applications and deployments at either the departmental or enterprise level. They may range from systematic to those that address specific business and technology problems. Tools and solutions may be work process, human, or technological, proprietary or open. An overarching purpose of the MIKE2.0 methodology is to couch these variations into a consistent and holistic framework that allows individual or multiple pieces to be combined and inter-related. This consistency is a key to the core objective of information management interoperability across whatever solution profile the enterprise may choose to adopt. This objective is best expressed via the Overall Implementation Guide. Thus, while detailed aspects of MIKE2.0’s solution offerings may encompass very specific techniques, design patterns and process steps, in combination these pieces can be combined into meaningful wholes. 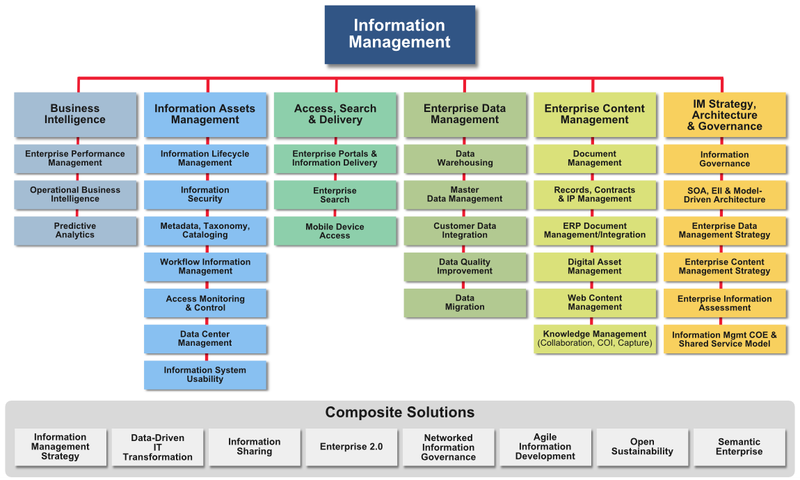 The Information Governance Solution Offering – the guiding framework for realizing an Information Development approach. These central core and composite groupings, of course, are comprised of more focused and specific solutions. While it is really not the purpose of this piece to describe any of these MIKE2.0 specifics in detail, the next diagram helps illustrate the scope and breadth of the current framework. These are also accompanied by 8 or so cross-cutting “composite” solutions that reach across many of the core aspects. Whether core or component, there is a patterned set of resources, guidances and templates that accompany each solution. The MIKE2.0 Web site and resources are generally organized around these various core or composite solutions. A budget and roadmap for how to extend the methodology and achieve the vision. We invite you to learn more about MIKE2.0 and join with us in helping it to continue to grow and mature. And, oh, as to that aversion to the MIKE2.0 name? Well, with our recent addition of Citizen DAN, it is apparent we are adopting as many boys as we can. Welcome to the family, MIKE2.0! Mike – thanks so much for the post and the work you have been doing on MIKE2.0. I like the idea of expaning the approach more explicitly into the semantic space. This is an area I am increasingly seeing some of my more conservative clients get into and a method-based approach that fits in with other areas that I think will help accelerate adoption. Mike, thank you for the detailed post and your thoughts on the methodology. Having been involved with the methodology for some time (2007) as a user I have two criticisms, one from a methodology perspective and one from a community perspective. The issue I have with the community is that it does not behave “as designed” in terms of sharing intellectual property and online collaboration. There is little activity on the forums, and posts go largely unanswered – I feel as a result of the community not reaching a “critical mass” in terms of size and enthusiasm. The lack of enthusiasm in a large part stems from the commercial entities which form the governance group. There is little motivation for an individual to post something that will quickly be snapped up and re-used as part of a $x/day consultancy (where x is large) from the likes of Bearing Point. The issue with the methodology is that it lacks a key component – that is, an effective organisational change stream to support the implementation. Whether this is implied or not is irrelevant, the toolkit is missing a fundamental piece. Most of the changes required for good enterprise information management require a focus on organisational behaviour changes – fundamental shifts in the way that people use and value information in an organisation. Putting in policies or standards is largely useless without a method for ensuring compliance and conformance with those policies and standards – management discipline, performance management, embedding IM principles in competencies are as large a part of successfully maturing IM in an organisation as putting in systems or looking at “technology backplanes”. Should I not contribute case studies and materials for the above to the MIKE community? Not unless I want Bearing Point to come and resell me my own methodology with consultants on twice my salary. Remove the Big Brother/conflict of interest from the community’s governance and I might have a rethink. Thank you for your comments, and the energy behind them. From a naive standpoint, I take your interest in providing this degree of commentary as excellent news. Without a doubt, I am a newbie on the MIKE2.0 site and in relation to the governance structure. However, I was completely honest in my appraisal of the key leadership folks and their welcoming of me and our contributions. Before “open source” we had “co-opetition”. Whether BearingPoint is misusing contributions I can’t comment. What I have come to learn, and indeed even had issues with my last venture over the very issue, is the role of things like open source are changing our world, and I think for the better. Any project, going back to user groups or Compuserve or the old BBSs, succeeded or failed by the community that grew behind them. One never knows whether that threshold or that given forum will succeed in a given case. Will the threshold be met for MIKE2.0? As for us, we liked the equation. There is much of start-up methodology benefit to a small firm such as us. We will continue to contribute to reciprocate. We’d like to be part of what helps the MIKE2.0 site cross the threshold. But, in the end, we get hired and paid because we execute and we have ideas and knowledge about our space. I get more from my open contribution on my blog than I would to keep those ideas in a file drawer or only shared with the select prospect. I think the same mindset applies to MIKE2.0. Maybe BearingPoint is/will rip us off on those ideas, but on the other hand they can also help us build a market. So, I believe more competitors is good. I believe our world has changed to open source/methodologies and the need to provide fundamental value. I believe (so far) that what I have seen from MIKE2.0 is a good deal for us. Post some stuff on the MIKE2.0 forum, and I’ll be happy to respond! I completely agree with your comments regarding open sourcing and appreciate your comments regarding the success or failure of online communities. I certainly did not mean to single out Bearing Point as doing anything wrong in this case and have worked with them as a client in the past and found their delivery and value proposition acceptable, as I have with Deloitte (although it would be good if their people could be slightly more relaxed on-site :-). I worked closely with one of the originators of the MIKE 2.0 methodology, he is based in Australia and is originally Bearing Point, now the Global IM Practice lead for Deloitte in Melbourne (Australia). I believe this is their only global practice based in Australia. I was working with them at the time they open-sourced it and at the time is seemed to be almost too good to be true – a global entity open sourcing and then actively contributing to an EIM method that could be freely used without consent or attribution, with the only expectation being community contribution in the longer term. However, what has happened in the past few years indicates limited growth in the growth of MIKE 2.0 supporting assets and very few contributions in terms of case studies – particularly those concerned with actual delivery. I still find MIKE 2.0 useful in terms of the structures and guidance it provides (although less useful than the DAMA 2.0 DMBOK from a data management perspective). My point is – does the moderation (through the governance structure – controlling the core elements of MIKE 2.0) by commercial entities hinder or stifle the development of the community? I think it does. As a reasonably caring and sharing soul who is happy to contribute generally to the body of knowledge in the EIM domain and has done so on many occasions in different communities, I find I think twice about submitting to the MIKE 2.0 community. I am not alone in feeling this as indicated by the participation inequality of the online community. Usually the 90-9-1 statistics (90% lurkers, 9% contribute 10% and 1% contribute 90%) indicate a sustainable community, but there are a total of 35 posts in the forum at the moment (not counting those post concerning the wiki software) for more than 1000 registered users. My feeling is that others feel the same way (although that may be arrogance). To Joe Morgan – good comments and I work with Mike Bergman so allow me to elaborate a bit on a couple of your observations that dovetails with your I’m also part of a small EIM startup, focused on the human factors in information management. > The issue with the methodology is that it lacks a key component – that is, an effective organizational change stream to support the implementation. Social learning is how groups work and share knowledge to become better practitioners. Organizations should focus on enabling practitioners to produce results by supporting learning through social networks. The rest is just window dressing. “Wirearchy” is “a dynamic two-way flow of power and authority, based on knowledge, trust, credibility and a focus on results, enabled by interconnected people and technology”. We are seeing increasing examples of this on the edges of the modern enterprise. >I worked closely with one of the originators of the MIKE 2.0 methodology, he is based in Australia and is originally Bearing Point, now the Global IM Practice lead for Deloitte in Melbourne (Australia). Finally there will be a follow on post next week by Mike that addresses a Semantic Enterprise Assessment and Solutions overlay to MIKE2.0 that enables users to discover, connect, communicate, and share knowledge in new and innovative ways. Ping me at sardire@gmailcom if you’d like to discuss more. It is 2017 … where is MIKE2.0 these days? I am getting ready for a large effort … looking around for technologies to consider. The effort remains active. See http://mike2.openmethodology.org/ for additional details. Yes, though I am personally no longer active.